It was 4:00 am and Carlos and Luis, our Ecuadorian guides, waited patiently by the dugout canoe. It was a half-hour boat ride and an hour trek to the salt lick where the wild parakeets descended early every morning. Carlos had described the cacophony of sound and the brilliant flashes of yellow that blotted out the sky when the birds arrived and Ron and I were eager to be part of the experience. The morning was silent save for the paddles pushing through the still waters. 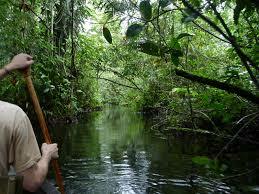 When we reached the land, Carlos tied the canoe to a thorn tree and Luis helped us out of the boat. In the dim light, I headed toward what looked like the only opening into the brush. But Carlos stopped me. “Deborah, you’re heading in the wrong direction,” he said. 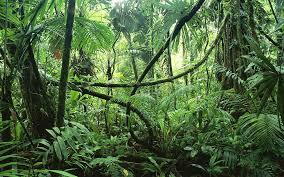 He held up his machete and pointed to a tangle of vines and trees off to the left. “This is our trail.” And he and Luis began creating a path through the jungle. So many times during my time with my mother, I was drawn to those bright openings, the beautiful array of well-worn steps. All too soon, I would be reminded by an inner or outer voice, “Deborah, you are heading in the wrong direction.” And I was guided back to the core of my care partnering journey, the intense creativity of the path-in-progress, step by step, creating a trail only I could make.